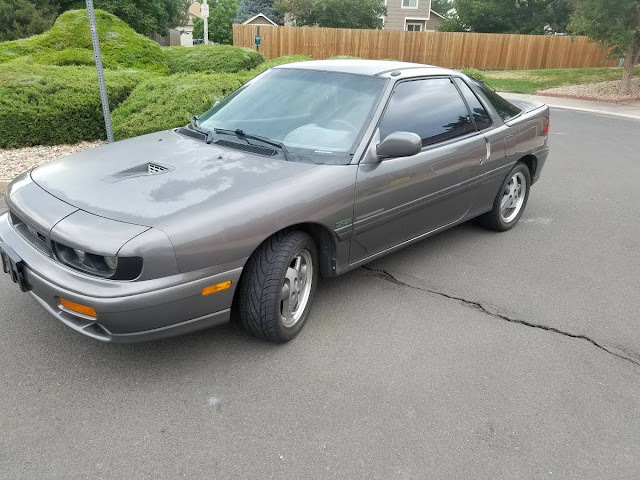 The best I could find in a quick search of the list of craigs was this 1991 Isuzu Impulse RS Turbo offered for $2200 in Colorado. All wheel drive and flaky paint come standard. Come for the cars. Stay for the amazing stories about why we love them. Sorry, no luck during a quick search of the Pacific Northwest list'o'Craig's. Her "Dad" had an '88 Impulse when HE was a kid? I could see he had a '41 Ford...but an '88 Impulse? Holy Mother Mary! Found a very decent one of these 10-12 years ago on a small car lot in central Ohio. Yes, it was an Isuzu Impulse RS Turbo, in bright red with a 5-speed manual transmission. I actually test drove it and nothing was wrong with it. It had about 86K well-kept miles. Wanted to buy it but I already had too many cars and no place to keep it. This may be the "rust belt" part of the country, but I still see cars from the 1980s in very good shape being driven, probably by the grandchildren of the original owners.